The definition of allure as a verb means to attract or tempt by something desirable; to fascinate or charm. As an adjective it means enticing, fascinating, seductive and charming. As a noun, Allure of the Seas is the newest ship in the Royal Caribbean fleet of cruise ships. I had the extreme good fortune to be invited to sail on a two day pre-inaugural cruise and I was completely charmed, seduced, fascinated and awed by this newest maiden of the sea. Royal Caribbean promises to deliver the "Wow," and believe me, I was "wowed." From the moment I stepped aboard I was in awe. She is big, sparkly, contemporary, and vibrant. I could feel the energy all around me. Her design is innovative, unique and exciting. Go up to the sixteenth deck, stand on the sky walk on the starboard side and turn left. You will see what looks like a well that goes down many decks. All along the walls of this well are balcony staterooms. The Allure and her sister ship, Oasis of the Seas, are the only two ships that have balcony staterooms that face the inside of the ship. The well is not covered, so at night you can see the stars and feel the warm ocean breezes as you would from an outside balcony stateroom. Some of these balcony staterooms look down on what is called The Boardwalk while other staterooms look down onto Central Park. The Boardwalk, Central Park and the Royal Promenade make up the heart of this uniquely designed ship and they are three of my favorite places onboard. The Royal Promenade is a lovely mall-like boulevard stretching almost the length of the ship with shops and restaurants along its sides. You can enjoy a cup of coffee while people-watching from the Promenade Café or experience a delicious pizza at Sorrento’s Pizzeria. Sip a caramel latte at the only Starbucks at sea. Shop for some special treasures at one of the retail stores such as Guess. My favorite serendipitous treasure is called The Cupcake Cupboard where the gourmet cupcakes are made fresh daily and are among the tastiest confections I have ever eaten. I had never eaten a giant pink bubblegum-flavored cupcake (with sprinkles) before. Floating between The Royal Promenade and Central Park, three decks above, is the Rising Tide, a fun place to enjoy a glass of wine while floating up and down between decks. The Royal Promenade comes alive with excitement when the parade begins and you see some of your favorite DreamWorks Animation characters like Shrek, Fiona (the new Godmother of Allure of the Seas), Kung Fu Panda, Puss and Boots, Toothless, and others. The Boardwalk is just what its name implies. I spent nearly every childhood summer in Santa Cruz, California, and some of my most treasured memories are of the boardwalk that stretches several blocks along the Pacific Ocean. I remember the taffy pulling machine, the carousel with the majestically painted horses, the hot dog stands, the fortune telling machine and the large painted boards with holes cut out through which you could stick your head and have your picture taken looking like a mermaid or Mr. Universe. The Boardwalk on the Allure of the Seas is reminiscent of the old boardwalks that brought summer-time joy on both the Pacific and Atlantic Oceans. There is an old-time carousel with the hand-carved and painted horses, a hot dog stand called Boardwalk Dog House, an Ice Cream Parlor, a candy shop called Candy Beach Sweets, Johnny Rockets, and Rita’s Cantina, an atmospheric restaurant serving Mexican fare. 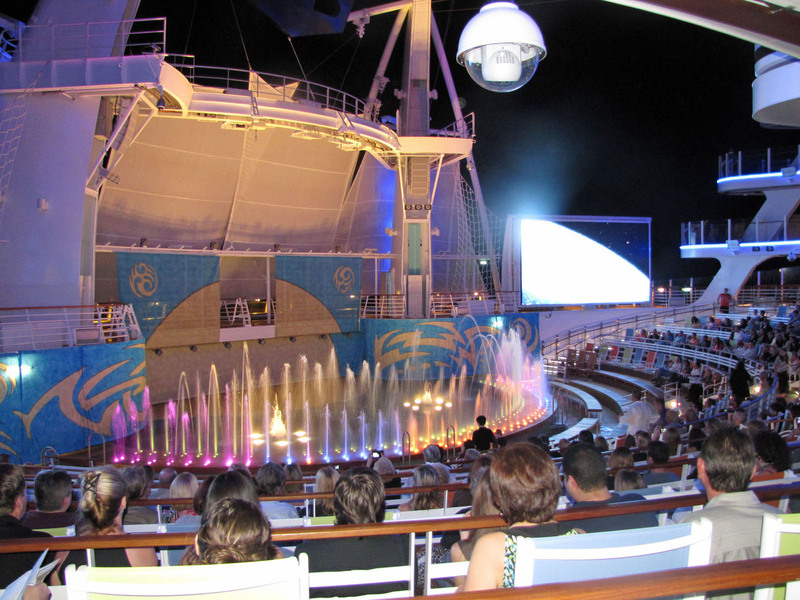 At the end of The Boardwalk, at the stern of the ship, with the ocean as the ultimate backdrop, is the Aqua Theater. Here you are wowed with diving shows, synchronized swimming, and water-fountain shows synced to lights and music. My very favorite of these three "neighborhoods" at the heart of the ship, six decks below the pool deck, is Central Park. It is a 21,000-square foot serene oasis of tropical trees, shrubs, flowers and vines, all growing on a ship sailing in the middle of the ocean. As you wander along wide pathways, past garden beds and seating nooks you may notice it seems quieter than the rest of the ship. 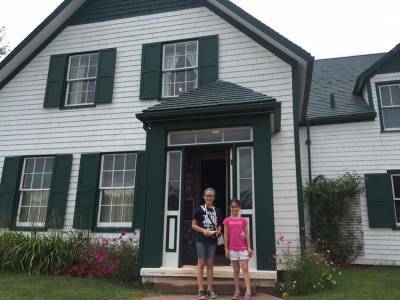 You may also notice that as soon as you enter, you hear birds singing; at night you hear crickets. Placed strategically amongst the plants are lanterns, each adorned with a little brass insect. These lanterns glow softly at night, spreading the feeling of pure romance. During the day you might stop at Park Café and grab a sandwich and sit outside under the canopy of trees. Before dinner you could go to Vintages wine bar for a wine tasting. Central Park offers Allure’s two most elegant dining options: 150 Central Park, serving six-to eight-course meals and Chops Grille steakhouse where guests may dine inside or on the patio under the stars. You might hear a moonlight serenade performed by a traveling string trio. After dinner, you can enter the Rising Tide bar and float down to the Royal Promenade for some lively entertainment. My balcony overlooked Central Park and I enjoyed its tranquility both day and night. In addition to Central Park, my favorite place on the Allure of the Seas is the Solarium. This is an adults-only open-air haven with glass-paneled enclosures. On decks fifteen and sixteen, it stretches across the bow, offering 180-degree views of the ocean. The area is white and aqua and has light tan deckchairs, some with billowing white covers on them. Palm trees and tropical plants add to the tranquil ambiance. 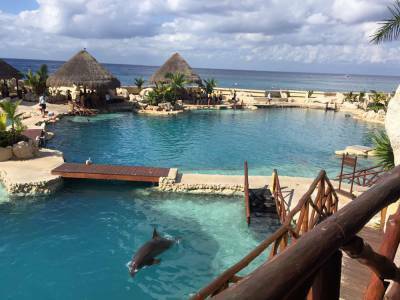 There are six clear, sparkling whirlpools spaced around the area as well as one round swimming pool. Four of the whirlpools are suspended 136 feet above the ocean. The Solarium Bistro serves health-conscious food during the day and turns into a dining and dancing under the stars venue at night. The Solarium is the perfect retreat for quiet reflection, meditation and rejuvenation of the mind, spirit and body-or for just reading a book or staring at the blue ocean sailing by. I could easily write tomes about this absolutely incredible, wonderful and exciting ship, Allure of the Seas. I was especially impressed by the artwork everywhere. The large paintings in the main dining room, Adagio, remind me of Japanese silk screening. I loved the drawings and photographs that graced all the stair wells. They had a common theme that celebrated cultures around the world. My favorite photograph was of a group of monks walking across a waterfall with their robes pulled up to their knees. I could mention how much fun the ice show, "How to Train Your Dragon," is. I could write about the delicious food. I have not mentioned all the new shows or choices for nighttime entertainment, or the H20 Zone for kids. Another favorite of mine is the huge computer touch screen that tells you exactly where you are and how to get to where you want to be. My biggest fear was getting lost and I now know that is impossible. Two old adages say: "A picture is worth a thousand words," and "Seeing is believing." So instead of reading about this treasure of the seas, experience her for yourselves. Royal Caribbean promised to deliver “Wow” and they kept their promise. 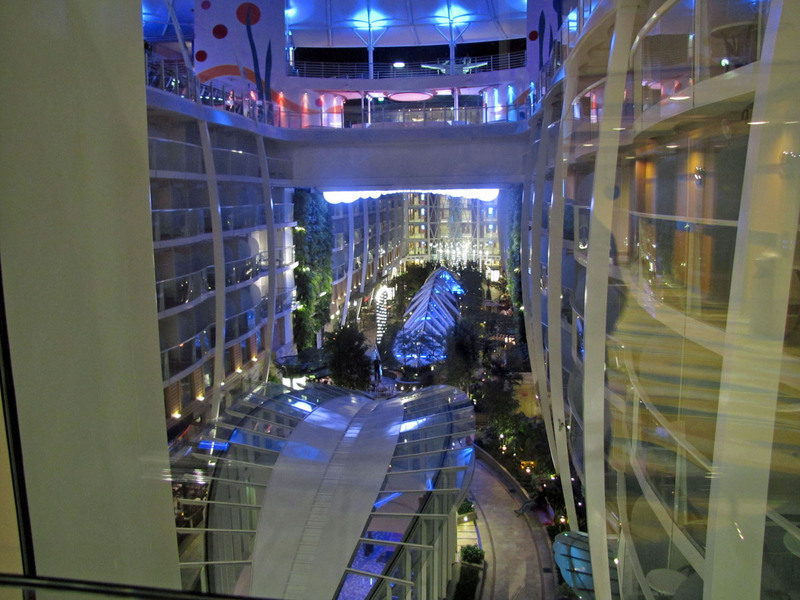 I am impressed and totally “wowed.” I am in love with Allure of the Seas. 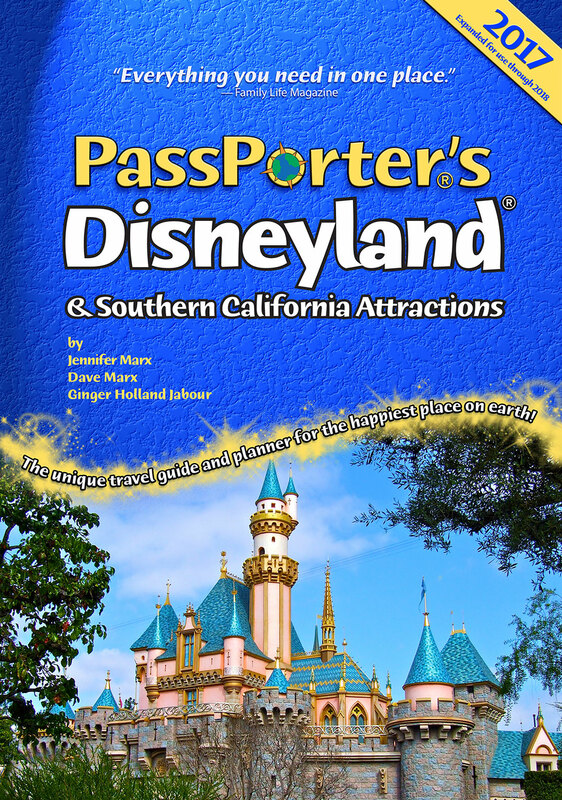 About the Author: Lee Ellen King is a Travel Consultant with CruisingCo.com and MouseEarVacations.com. There are three things she is passionate about: Disney, cruising and travel. She is cruising to the southern Caribbean this spring and in July is going to Katmai National Park in Alaska where the bears congregate for their salmon feast every summer. She is making plans for that next Allure trip, too.